A Carolyn Rocchio Caregivers recorded webinar featuring Ruth Y. Shoge, O.D., FAAO, Assistant Professor, Eye Institute Penn College of Optometry, and Madeleine Sayko, CEO, Cognitive Compass. Aired live June 21, 2018. Please note: promo codes may be applied once the downloadable webinar has been added to your cart. This webinar offers two unique perspectives; one of the presenters is a person who received vision therapy and the other is the vision doctor who treated her. 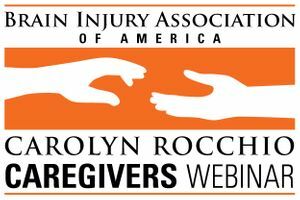 To receive 1 ACBIS CEU, please select "Recorded Webinar - Download Now! (Includes 1 CEU)" or "CD/Handout Package, CBIS/T Rate (Includes 1 CEU)" from the drop-down menu. Please note that promo codes may be redeemed for downloads only.